It is obvious that interactive and social skills are two indispensable requirements in many application areas where robots and humans need to interact with each other. Consequently, we have developed a cognitive robot companion, i.e. 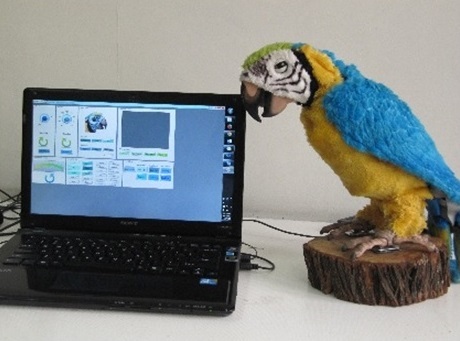 a parrot like robot, with main focus on verbal interaction with humans. A possible educational or therapeutic aspects of this robot for children who suffer from Autism Spectrum Disorders (ASD) have been considered. In other words the robot is designed intended to comfort and emotionally interact with autistic children. 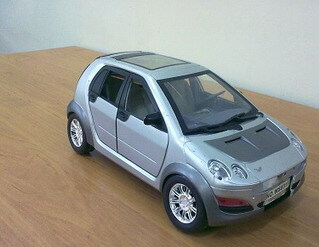 The toy car is equipped with anaccelerometer,which records a kid’s usage behavior through acceleration in three dimensions.Then 44 features extracted from his/her motion behavior and Support Vector Machine (SVM) is used to distinguish between the autistic and normal children. Early detection of autism is crucial for successfully dealing with it and reduce/eliminate its effects. In other words, early treatment can make a big difference in the lives of many children with this disorder. Consequently, in this study the pattern recognition algorithms are used to determine the unique features of the voice of autistic children to distinguish between the autistic children and normal children between ages 2 and 3. These descriptors extract various audio features such as temporal features, energy features, harmonic features, perceptual and spectral features. Autistic children are often impaired in initiating and responding to Joint Attention. In recent years, there has been an increase in the application of robots in diagnosis and treatment of autism. The purpose of the current research is primarily to originate the proper therapeutic scenarios and to implement two interactive humanoid robots as therapy assistants in autism treatment in Iran. The humanoid robots were programmed and teleoperated via Microsoft Kinect Sensor and Phantom Omni Haptic Robot to elicit reactions consisting of imitation of humans by the humanoid robots and vice versa. questions of the questionnaire which is presented to them in the website. After that, the system runs some algorithms to predict the autism probability for the submitted sample.